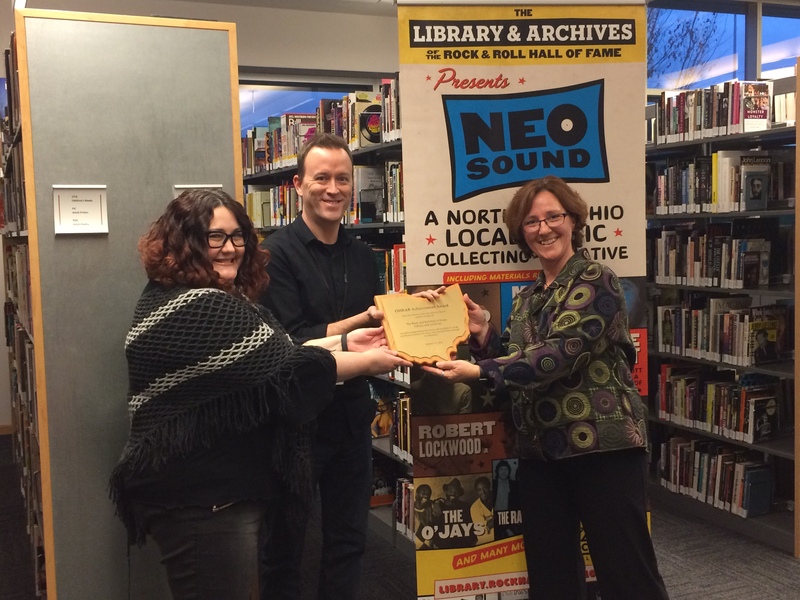 Representatives of the Rock and Roll Hall of Fame Library and Archives receive one of two 2016 Achievement Awards from the Ohio Historical Records Advisory Board (OHRAB). 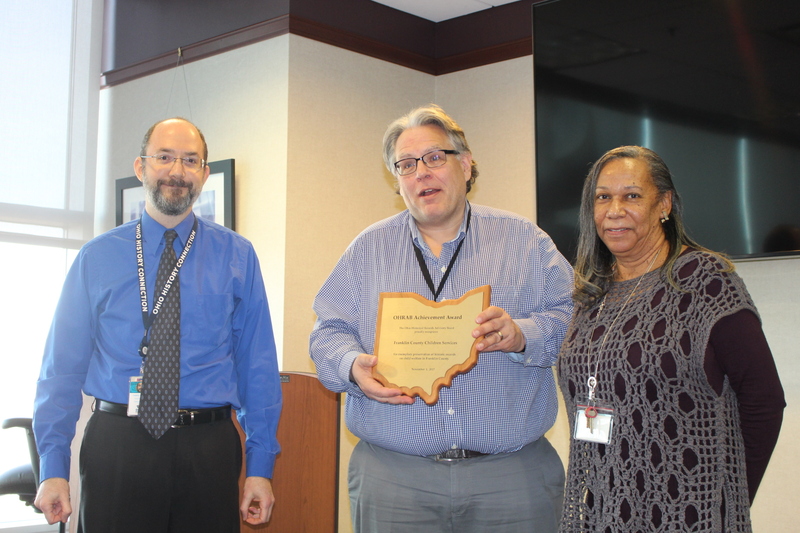 Pictured are Director of Archives Jennie Thomas; Senior Director of Library and Archives Andy Leach; and OHRAB Board Member Meghan Hays (Shaker Heights Public Library). 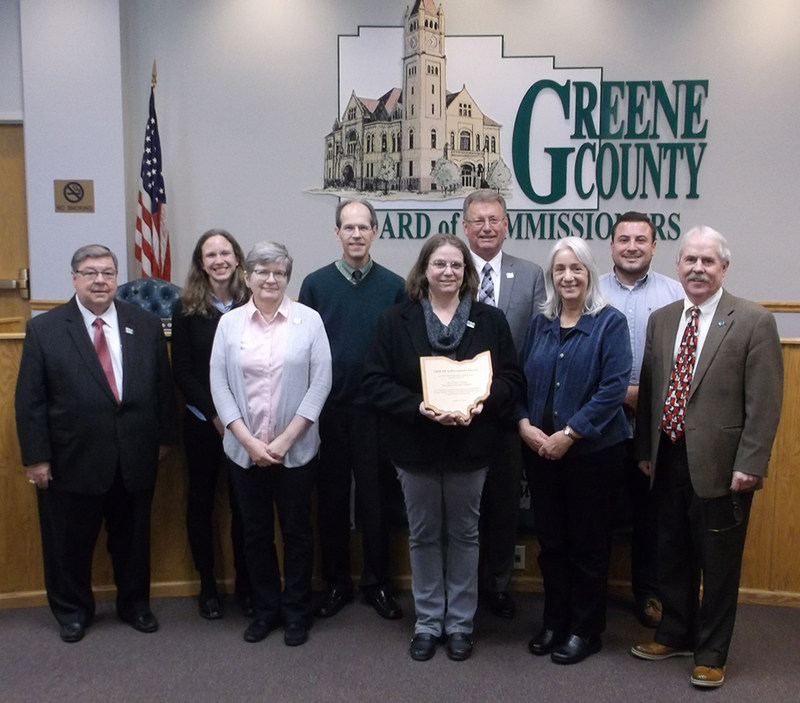 Representatives of Greene County receive one of the two 2016 Achievement Awards from the Ohio Historical Records Advisory Board (OHRAB). 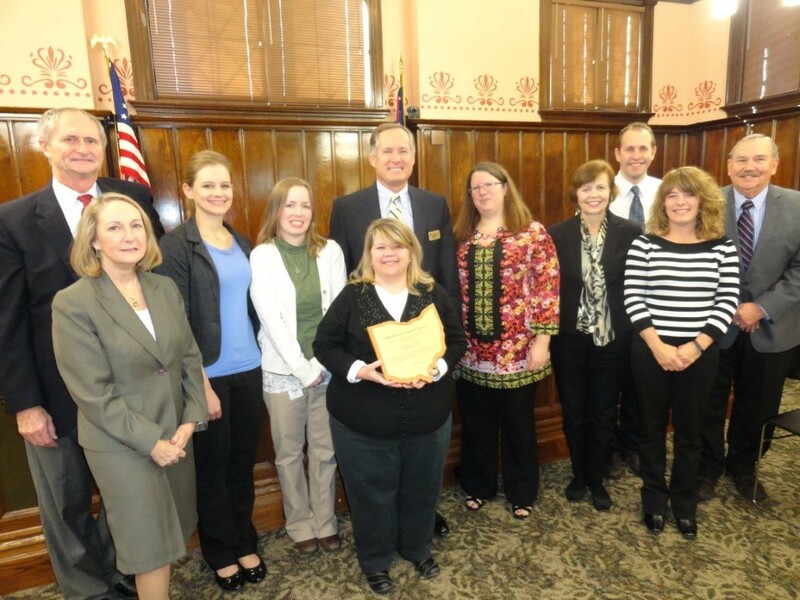 Pictured are Commissioner Bob Glaser, Public Outreach Coordinator Elise Kelly, Archival Assistant Joan Donovan, OHRAB Board Member Galen Wilson (National Archives), Records Manager & Archivist Robin Heise (holding plaque), Commissioner Tom Koogler, OHRAB Board Member Dawne Dewey (Wright State University, Special Collections & Archives), Graduate Intern Erix Infante (Wright State University – Public History), Commissioner Alan Anderson. Read the OHRAB Achievement Award flyer for more information.